You can opt-in to receive a variety of emails from PocketSmith based on the information you are interested in. You can change your email preferences at any time (for security reasons, we are not able to make these changes on your behalf). 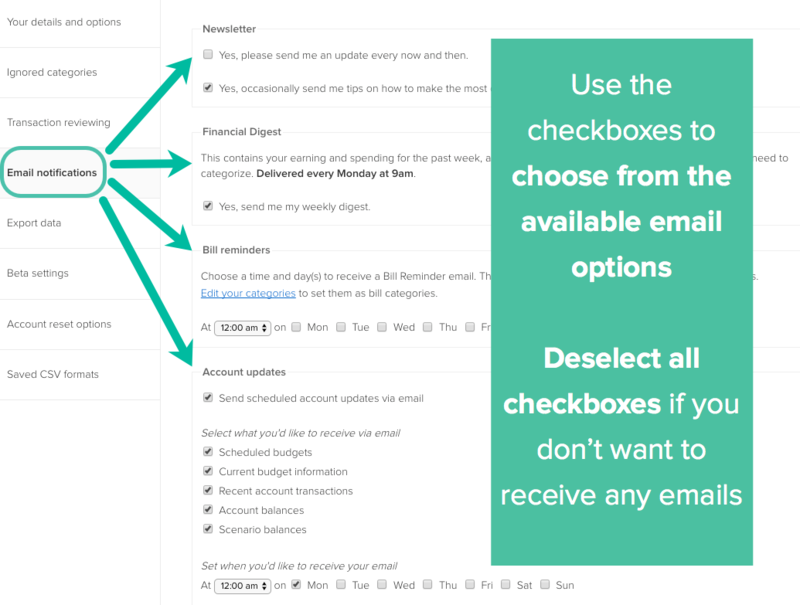 Read below to learn how to update your email notification settings. The financial digest emails contain a summary of earning and spending for the past week, as well as letting you know of any new transactions that need to be categorized. These emails are delivered every Monday at 9am. Bill reminder emails are an optional beta feature that will only be displayed and available in your Email Preferences if you are already set up as a beta tester. Receive email updates about your budgets, recent transactions and account balances in PocketSmith. You can choose what time and on what days of the week you would like to receive them. 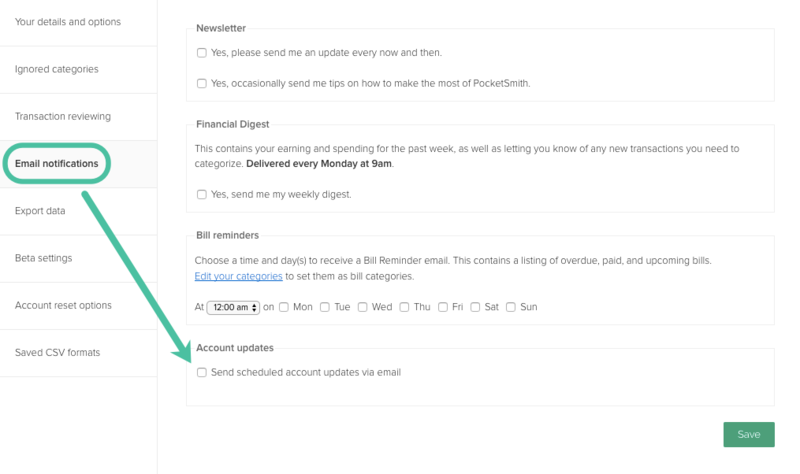 PocketSmith can send account-update emails to your email address, on a schedule that you set. You can include your balances, recent transactions, upcoming budgets and payments, and how you're tracking against your budgets. Follow the steps below to set up these emails. If you are not receiving password reset or other emails from PocketSmith, this may be due to the emails being blocked by your email provider or being sent to the spam folder. To prevent the emails from being blocked or placed in the spam folder, you should add the email address [email protected] to your contacts list. The instructions for adding an email to the contact list for the main email providers are below. Once you have added the address to your contacts list, try having the email sent again.